Present-day humanity prefers to lie comfortably on a couch in the evening, take a stick called the remote control, press the button and plunge into the world of coloured pictures in the box that occupies the most honourable place in many contemporary homes. Others prefer spending their evenings in pleasant talks with those who are not near, and other boxes are available to assist them. Communication between box-holders has become very popular, and diverse kinds of magic boxes are already an integral part of human everyday life. Hence, looking into their boxes in the evening, modern humanity has forgotten about stars that live in the sky and sing a nice song there when the Sun leaves for the night. Once upon a time people had no magic boxes and listened to the stars. They saw how a star appeared in the sky, then other stars joined it, and together they made a beautiful celestial pattern. However, I have digressed from the subject as usual. Let’s go back to our boxes. Well, if modern people would desire, magic high-technology boxes can help them observe the stars, which in my opinion is much more interesting than idle evening talks or remotely controlled coloured pictures. 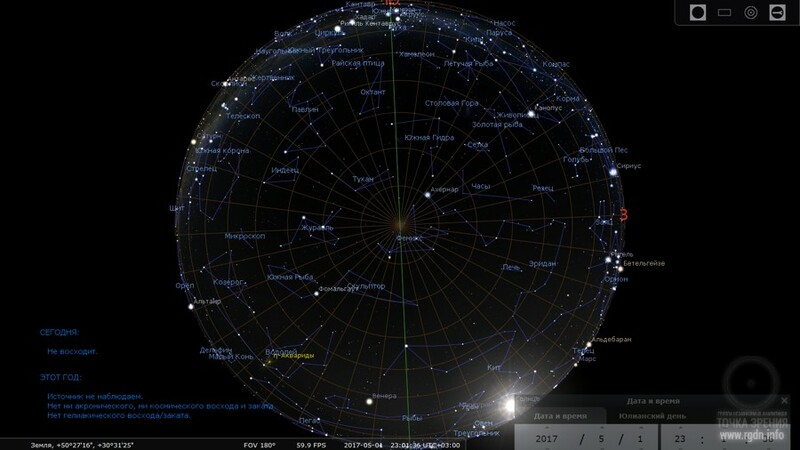 Precise imaging of all visible stars in the northern and southern hemispheres – over 5,000 stars in total! 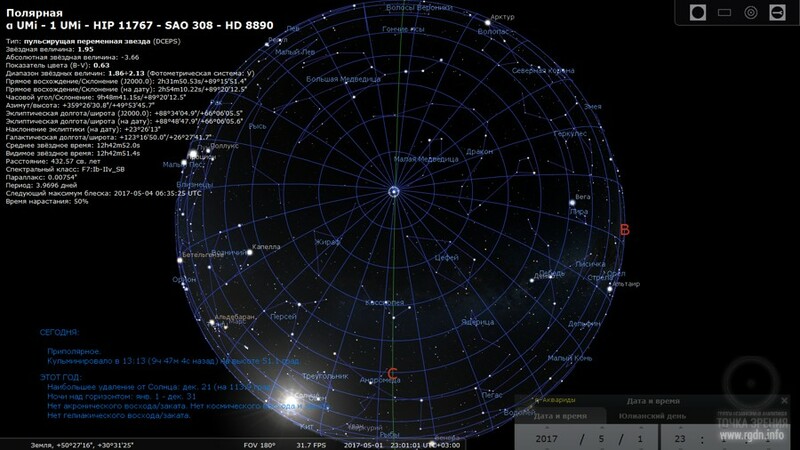 Press on an object in the sky, and you will receive information about it, including stellar distances and brightness. A zoom function enables you to examine the sky in detail via intuitive gestures of your fingers. 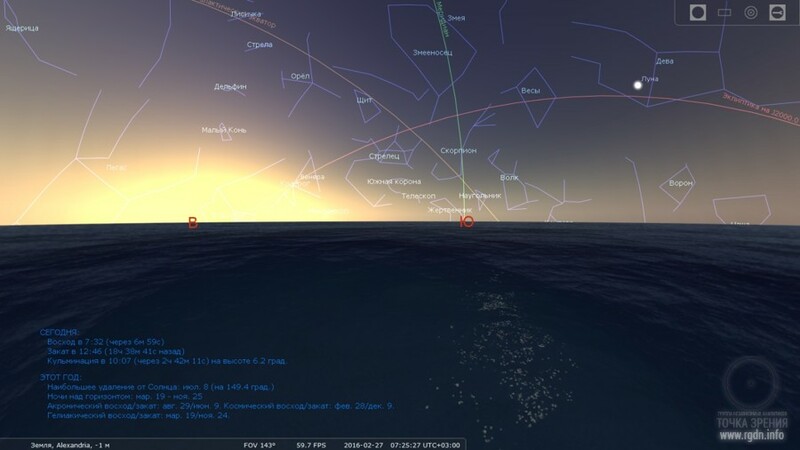 Imaging of the sky below the horizon. Thus, you can even see where the Sun is at night! 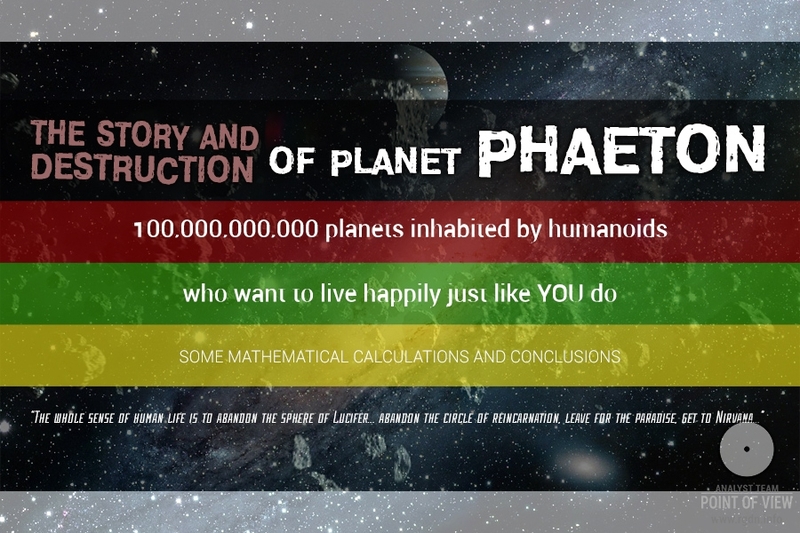 “Upon first launch, Star Chart will request permission to use your GPS data, or you will have to indicate your location manually. The first option is surely better, thus the data will be as precise as possible. 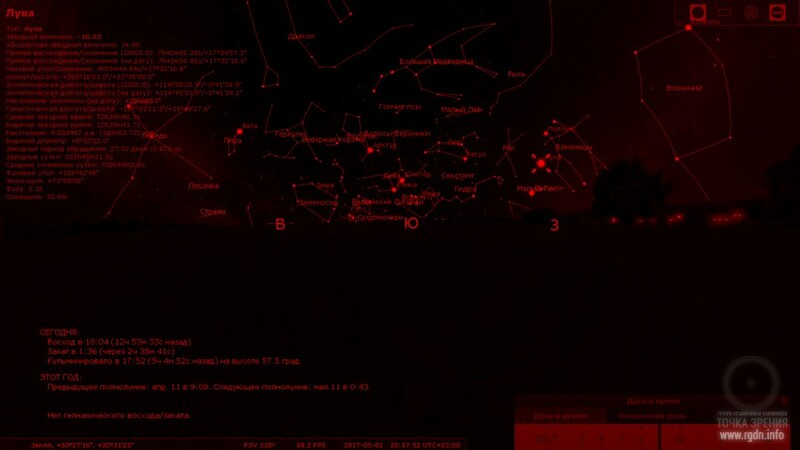 In my opinion, this application is a perfect pocket planetarium. 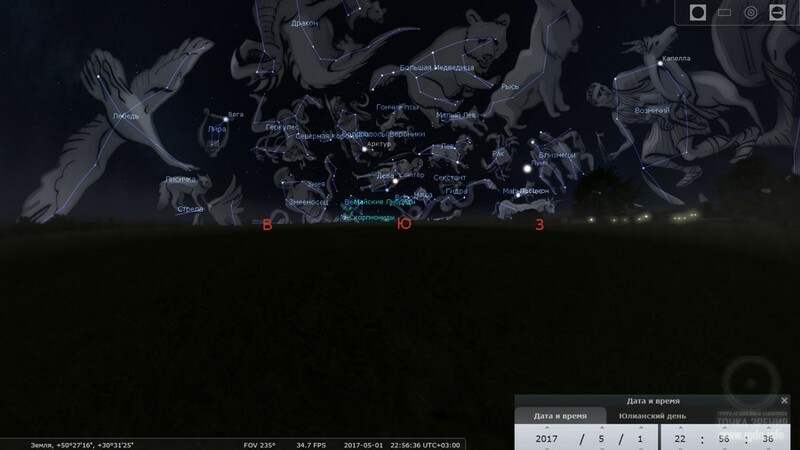 You can download it on your phone and start familiarising yourself with the constellations. If you use GPS, your location will be determined automatically, or you can enter your coordinates manually. There is a timescale that enables you to observe movement of a star or constellation over time, i.e. 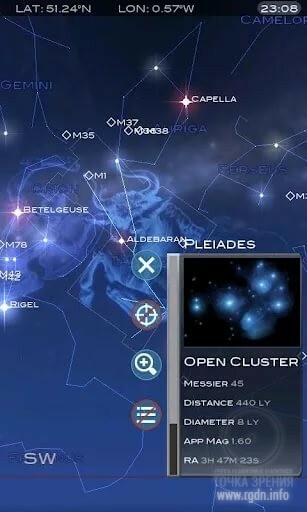 you can see when one or another constellation appears in the sky in your area, and when it disappears beyond the horizon. As for directing your phone at the sky in order to see a constellation or star, I can say the following. 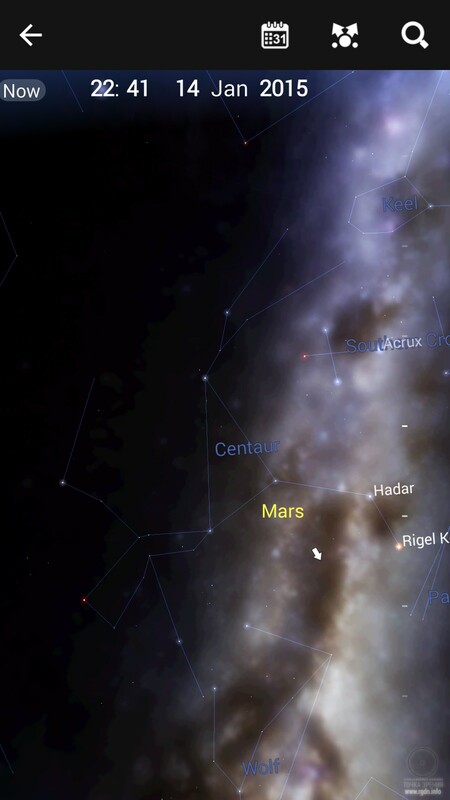 If you do know the constellation or star of your interest, then, when you direct your phone at it, you will probably see it. However, if it is unfamiliar to you, you will hardly see it because the phone is small whereas the sky is enormous. Nonetheless, you can try and maybe you will get the hand of doing this. 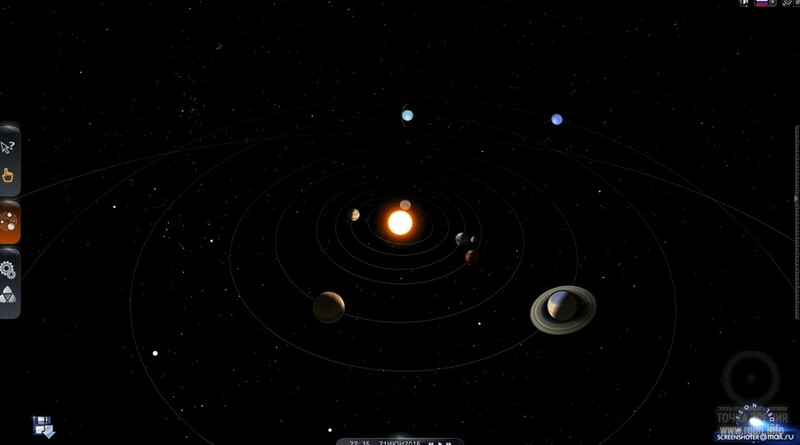 Among other things, this website contains a 3D model of the Solar System for children and adults. It is quite simple, and even a 10-year-old child can use and understand it without any difficulty. Here is a video on the Solar System model. 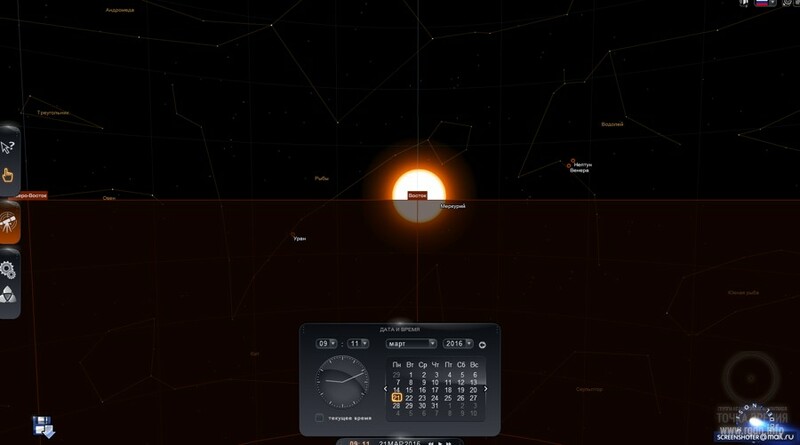 It shows the point of sunrise on the 21st day of every month. Now we have come up to the most important thing. 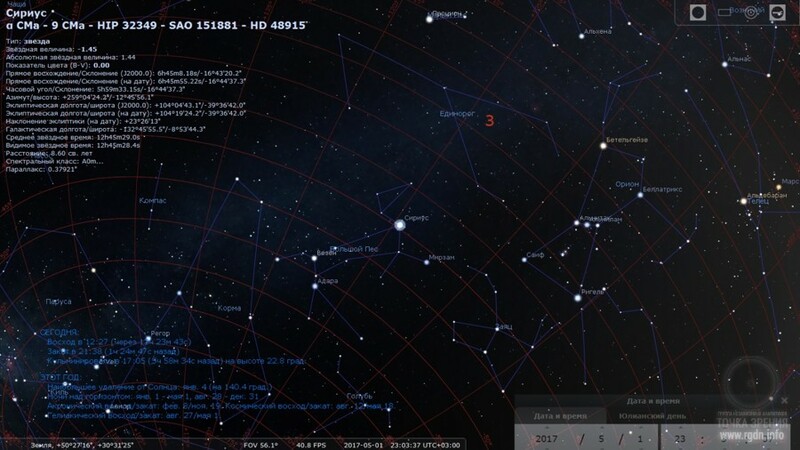 It is Stellarium software used by many astronomy lovers, not only amateurs. Asterisms and illustrations of the constellations. 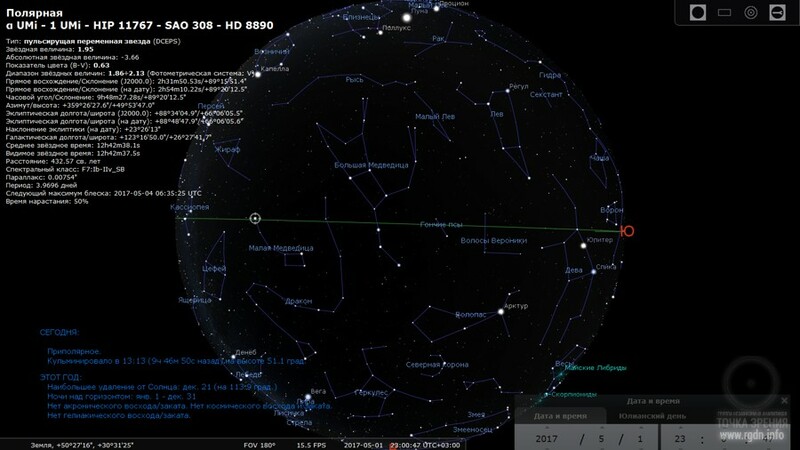 A selection of numerous cultures (constellation images) is available: modern Western, ancient Egyptian, Chinese, Arab, and many more. 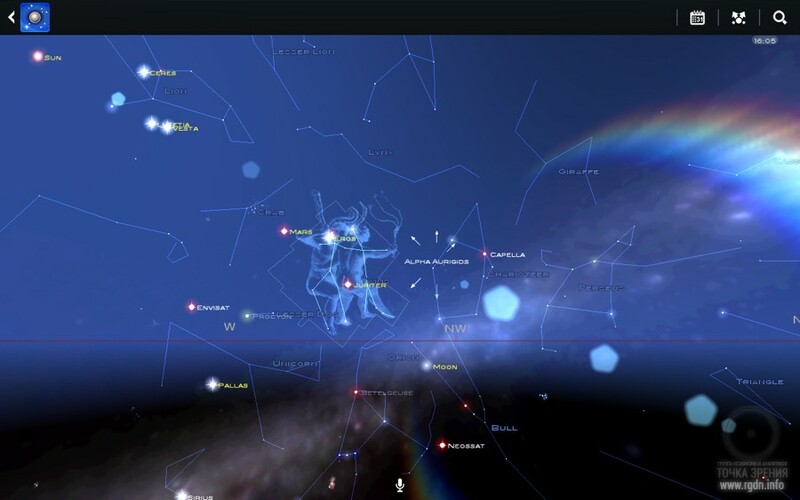 Constellation patterns change if you change time settings, which makes images more realistic. 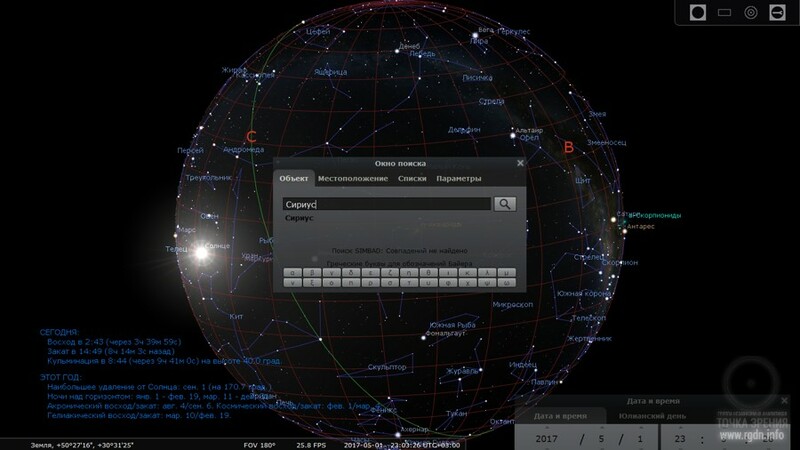 Starting from Stellarium 0.8.0, the software is available in more than 40 languages (including Russian). In my opinion, it’s a very nice software, quite simple to cope with, and like Spacegid it is suitable for both children and adults. Just download it, open and explore the menu attentively. 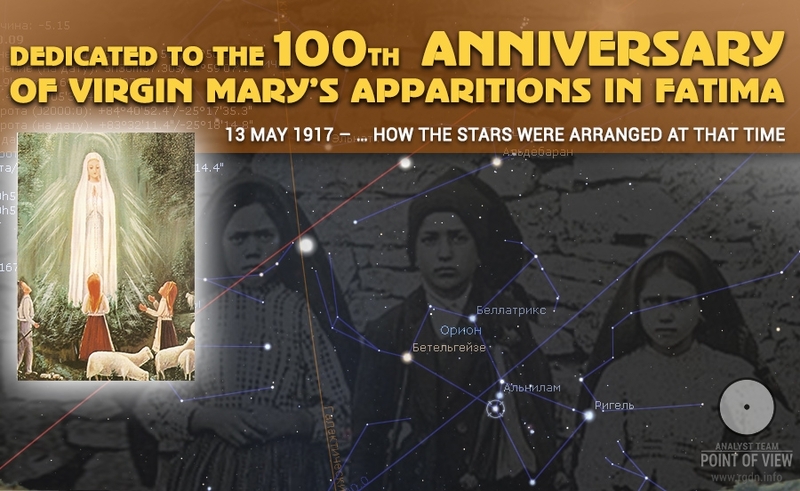 You may set a date and observe location and movement of stars and constellations even thousands of years ago. 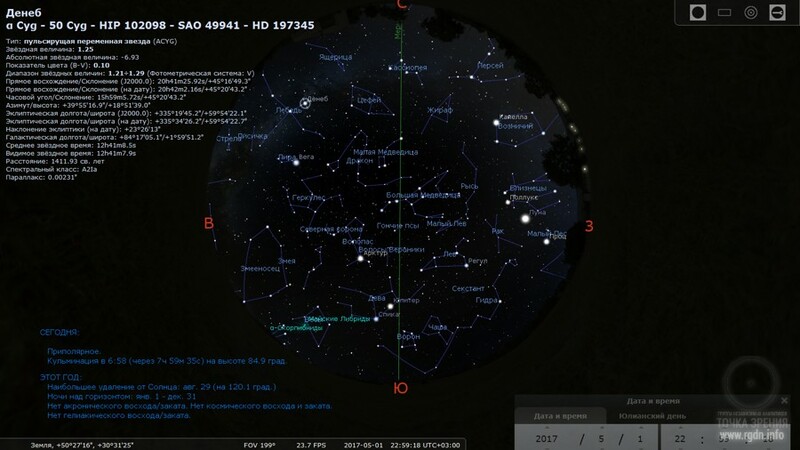 By pressing on a star of your interest, you can view information about it: stellar magnitude, distance, spectral type, right ascension / declination, etc. 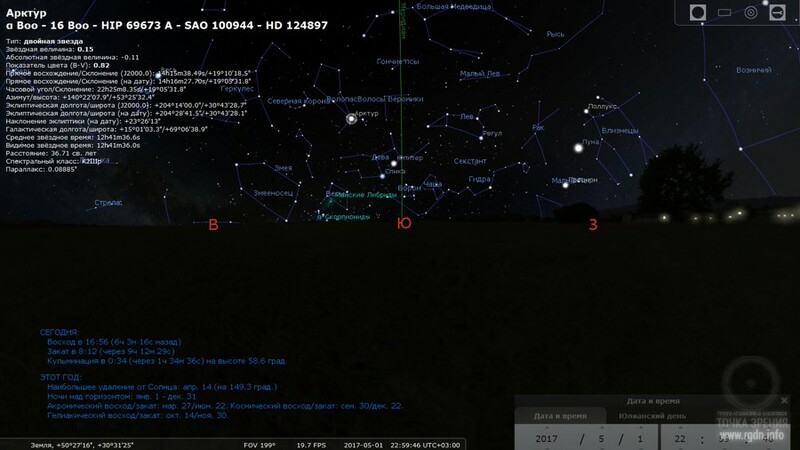 You may view the conditions of the star visibility: rising, setting, time and height of culmination. 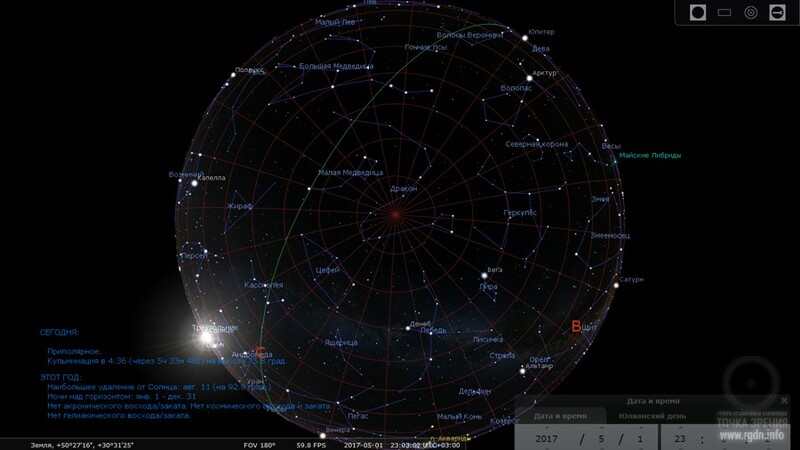 Moreover, you can trace daily and annual movement of stars, and certainly familiarise yourselves with stars and constellations, including those you have never heard about before. 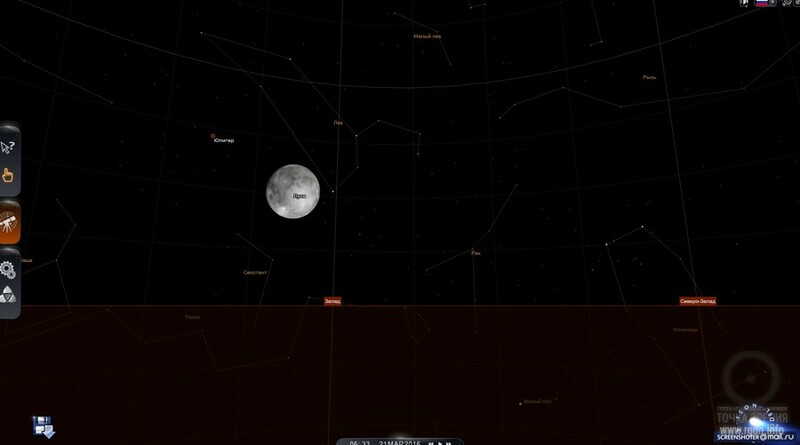 Below, let me present videos on Stellarium software. 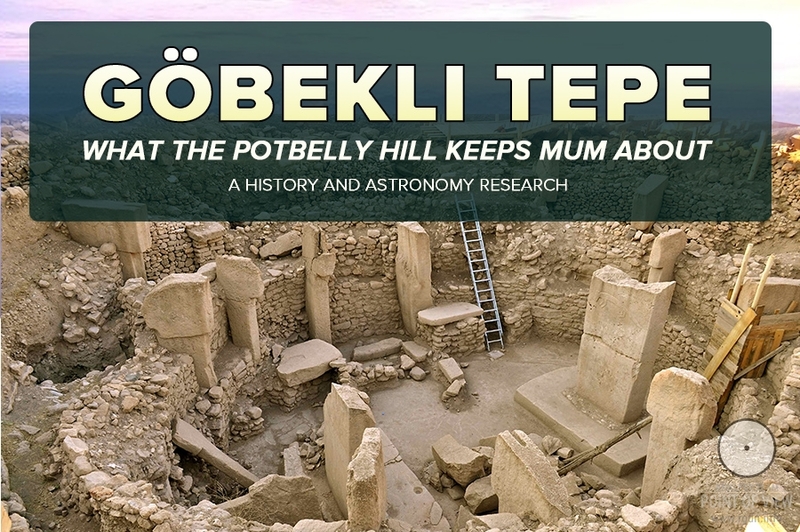 The last video shows annual movement of the Sun as well as the two solstice points (in summer and in winter) nowadays and about 13,000 years ago. 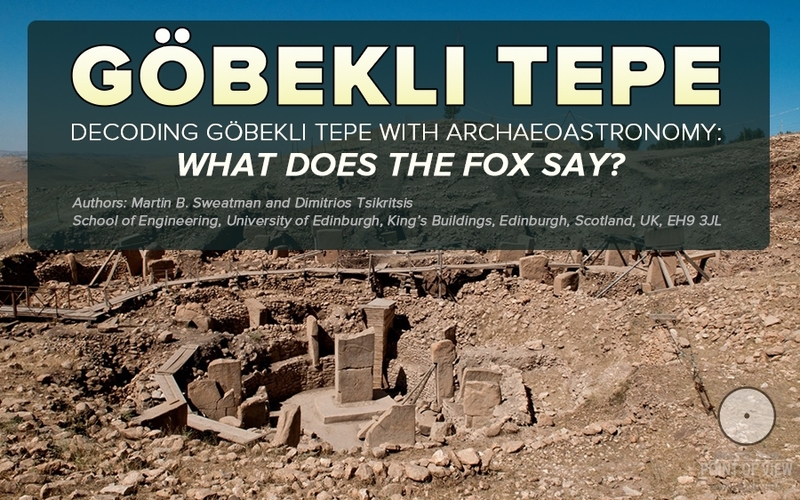 This video was given in a comment to the article The ruin of the Clovis culture and the riddle of the Younger Dryas. As a conclusion, let me note these are only several tools to observe stars and constellations. Actually, there are plenty of tools like that, and everyone can choose the most suitable for himself or herself, should they have a desire to observe the sky. Yet, a better way is to go outside in the evening or at night and turn one’s eyes towards the sky, for there are no man-made tools or software that could match the beauty created by the Lord! Good luck to you in examination of the stellar sky, dear astronomy lovers! 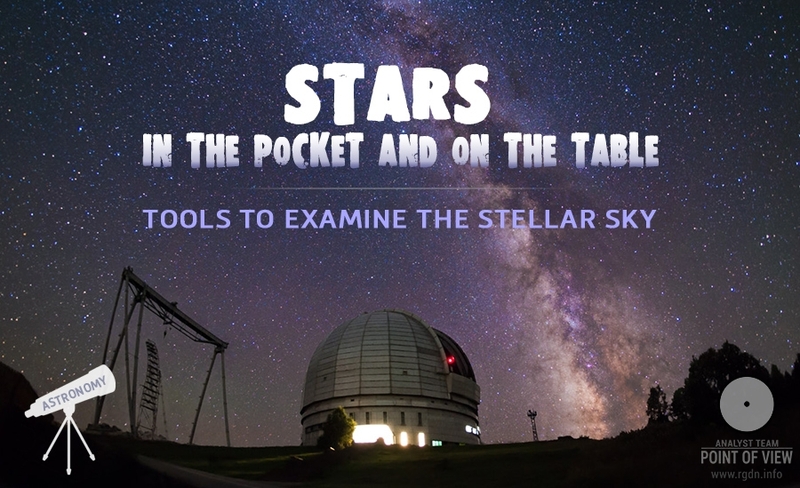 This article opens a new Astronomy section on our website. We will endeavour to look a little further than our TV sets, smartphones and stone yards may offer. Who knows what we will see there? Perhaps, we will recall, unravel or realise something indeed important. In any case, this is much more interesting than a freshly announced Hollywood thriller. Stay with us.